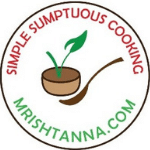 A big thank you to my readers that have used the link to contact me about recipes that you would like me to share. I am doing my best this summer to keep up with the requests. The recipe I am sharing today is an easy one. 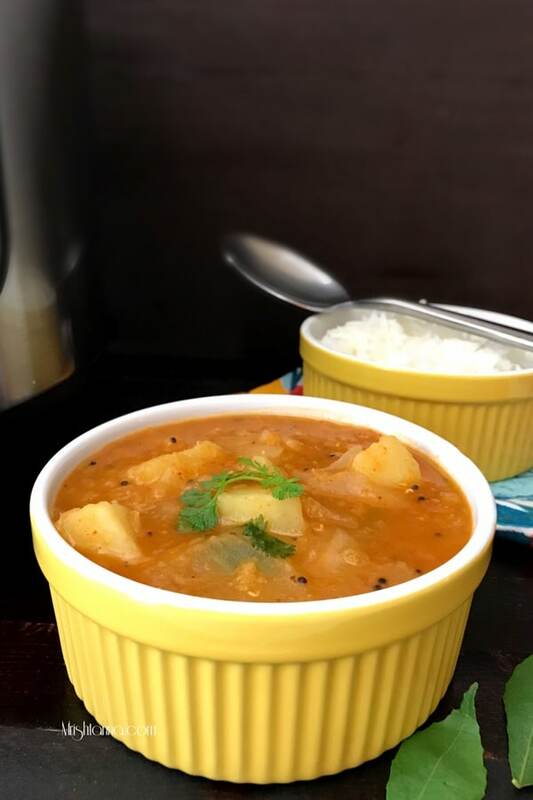 Instant Pot Potato Onion Sambar. Sambar is a popular and authentic dish from South India. Sambar is prepared with one or two vegetables and onion as an add-on. 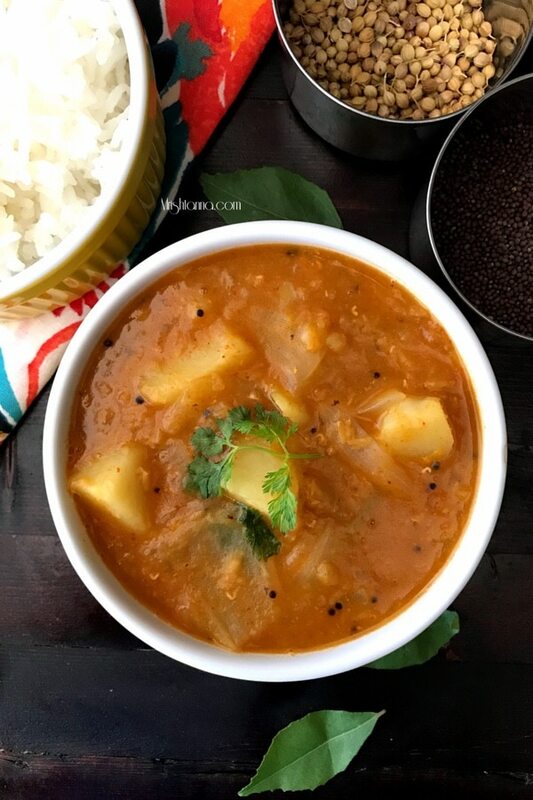 I am sharing the recipe for Sambar with potatoes and onions. 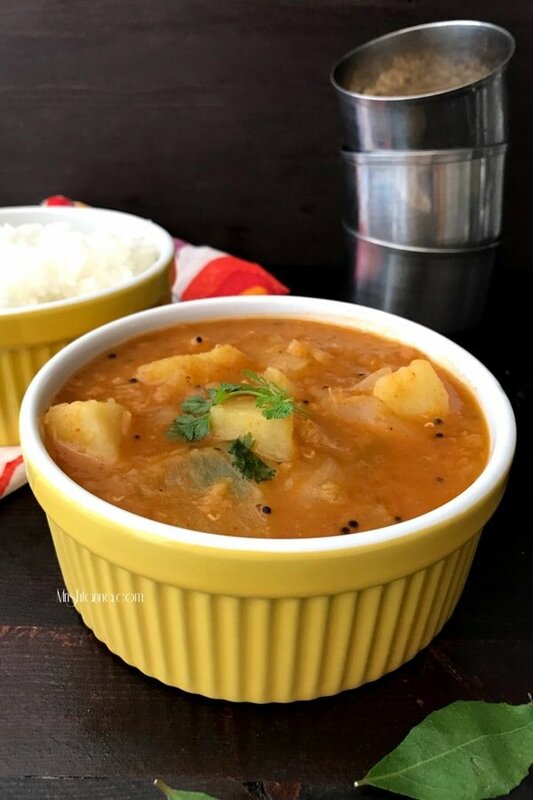 I bring an easy version of Potato Onion Sambar that you can prepare with your Instant Pot. I also added a link to my recipe to prepare Sambar Powder that will come in handy on busy days. I prepared this dish with my homemade sambar powder. You could do the same if you already have some ready. If not, you can always buy one from your local ethnic grocery. 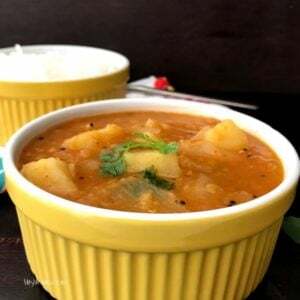 Potato Onion Sambar is usually paired with Dosa or Idli (Steamed rice cakes). But pairing it with steamed rice or roti is also equally good. 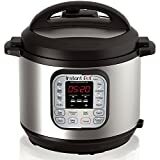 You will find that the procedure is made simple with the Instant Pot with no compromise in taste. As in most Indian recipes, the quantity and the quality of the spices that you add matters a lot. If you have any questions, check out my short video or drop me a line using this link or on my facebook page. For more delicious vegan recipes such as this sent directly to your inbox, just subscribe to my newsletter. You will also get a copy of my e-book where I have put together some simple vegan dessert recipes and dessert essentials. My readers have found it very helpful and I am hoping you will too! Add oil to inner pot in your Instant Pot and press the saute option. When the oil is hot add mustard seeds and urad dal. As the mustard seeds start to sputter, add curry leaves and green chilies and stir well for a minute. Add onions and continue to saute for at least a minute. Now add tomatoes and let them soften up and then add potatoes. In about a minute, add turmeric and sambar powder and stir well for an even mixture. Add split red lentils, tamarind, jaggery, 2 1/2 cup water, and salt. Close the lid of the instant pot. Turn the steam release handle to sealing position. Press on Pressure cooking( high pressure) setting and set the timer for 7 minutes. When time is up open the lid using quick release option or you could also let it cool down naturally. Garnish with cilantro and Potato Onion Sambar is ready! Pair it with steamed rice, Dosa or even rotis. Jiva USDA Organics Urad Dal (Split Matpe Beans) 2 Pound - NEW Packaging!